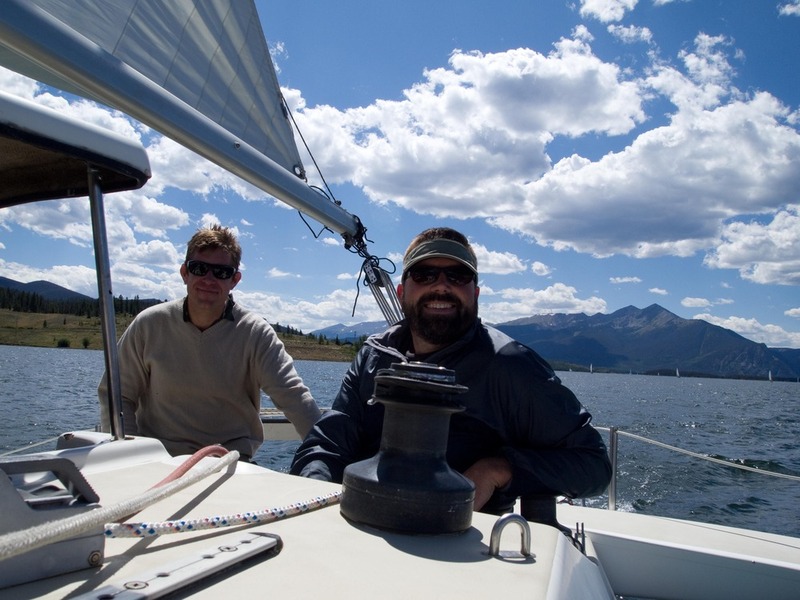 Took a little break from the patio project and enjoyed an afternoon sailing with friends on lake dillon. What a beautiful day in the mountains. 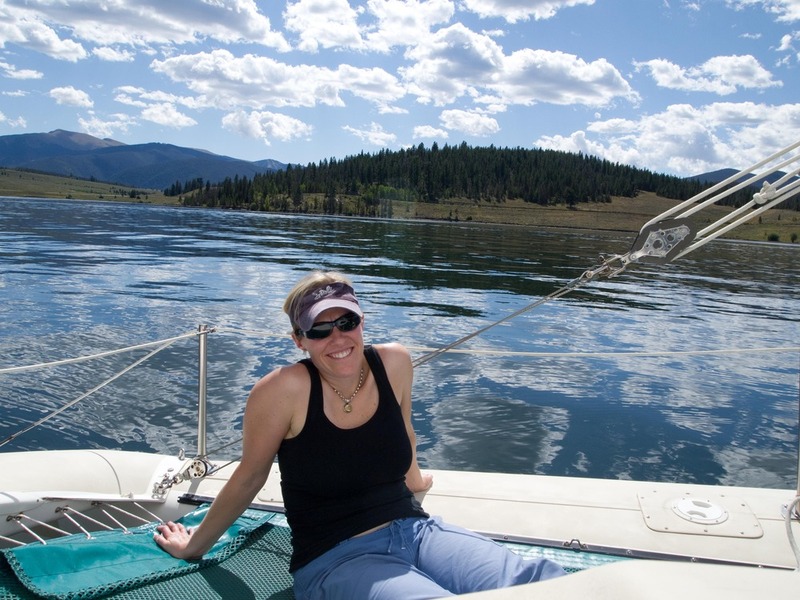 It was a classic Colorado Blue sky day up at the lake. Started of cool and glassy but that quickly changed to a brisk constant breeze from the northeast. 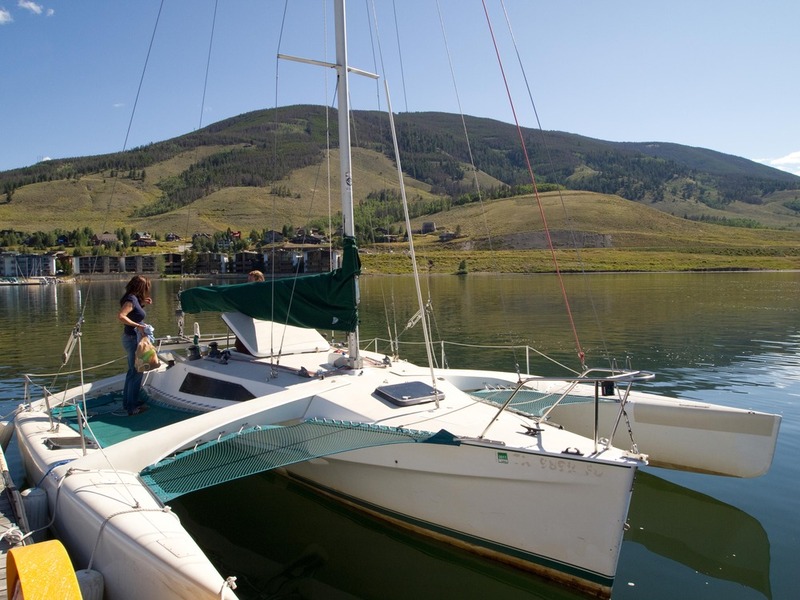 Kevin’s tri-maran really rips when it has some strong wind. He had it cooking fast enough where one of the pontoons/outriggers was high out of the water. Being rafters, our first reaction was “High Side !”, and quickly made our way to the uphill side of the boat. Turns out the tri-maran is extremely stable, and our high side reaction wasnt really necessary.